From the kitchen of One Perfect Bite...Try though I might, I can't ignore the siren's song that screams, "Eat me! ", each time the refrigerator door is opened. My leftovers are demanding attention. Given the number of meals that have been made lately, the status of the remains is really not too bad. The problem is that I'm not fond of leftovers and dislike repetition in my meals. Like it or not, those remains must be dealt with or tossed and I don't toss food. I had a goodly sized piece of roast pork that was sliced and warmed in a thick, but quick barbecue sauce. 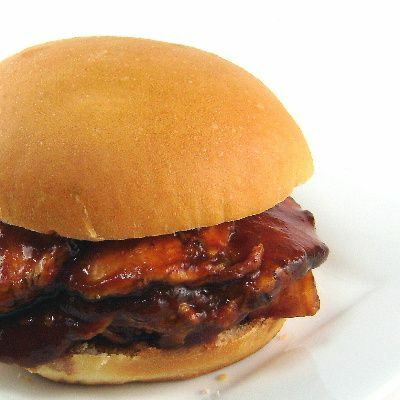 I made this everyday sauce from a few simple ingredients and served some of the warmed pork on homemade sandwich buns. The unused portion of the sauced pork and sandwich buns have been frozen to use for lunch on other days. Neither the sauce nor the buns are fancy and aren't meant for those seeking designer fare, but if you're looking for a fast and easy way to deal with leftover pork or beef, stay right where you are. 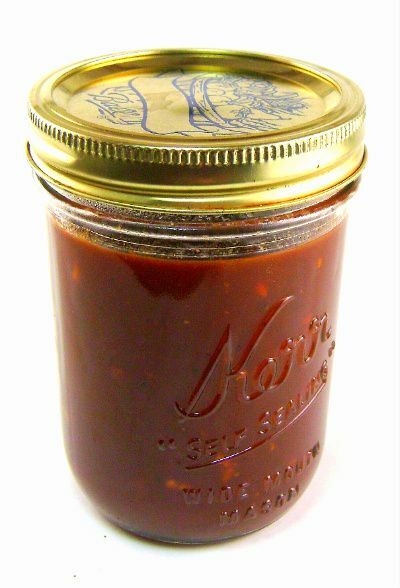 This quick homemade barbecue sauce is my way of waging war on the condiments that clutter my refrigerator shelves. Bottles of sauce and salad dressings tend to gang up on me - much as cereal boxes do in the pantry - and to prevent that from happening I prefer to make as many of my own condiments and dressings as I can. While it sounds very dramatic, I also make my own sandwich buns. This is not a big deal. I can't find decent ones, so I prefer to make and freeze my own. I usually make three dozen at a time and that one-time effort holds us for several months. The recipe is super-simple but produces delicious rolls that you can shape as you please. Today's feature is a twofer that I think you'll enjoy. Here are the recipes for buttermilk buns and barbecue sauce. 1) Combine water, yeast and sugar in the bowl of an electric stand mixer fitted with a dough hook. Whisk in canola oil and egg. Add flour, buttermilk powder and salt. Mix on low-speed until dough forms a ball and pulls away from side of bowl, about 6 to 8 minutes. Cover bowl with plastic wrap and let dough rise in a warm place until doubles in size, about 1 hour. 2) Grease one or two large baking sheets. Turn dough onto a floured surface. Divide dough into 8 portions. Slap or roll each piece into desired shape and place on prepared pan leaving enough space between them to allow them to rise. Cover with plastic wrap and allow to double in size, about 30 to 40 minutes. 3) While dough rises preheat oven to 375 degrees F. Bake rolls until golden, about 12 to 15 minutes. Transfer to a wire rack for cooling. Yield: 8 sandwich buns. 1) Combine ketchup, water, vinegar,Worcestershire sauce, sugar, paprika, chili powder, black pepper, cayenne pepper, salt and minced garlic in a saucepan. 2) Place saucepan over medium heat and bring contents of pan to a simmer. Cook until sauce thickens and is reduced by 1/4 in volume, about 5 minutes. Use immediately or allow to cool and refrigerate. Yield: 2 cups. Great post! Homemade barbeque sauce and homemade buns simply do not even begin to compare to storebought! I'm very happy to have the bun recipe. We like the small hamburgers (sometimes with different toppings) that restaurants now serve but cannot find the small buns. How nice to be able to make buns any size. And, to be honest, I've gotten away from bread making having so many delicious choices here. It's a relaxing time in the kitchen. The barbecue sauce sounds delicious as well. Thanks! Oh, this all looks so good, the bums look absolutly perfect. I have just printed out the barbeque sauce and am going to make it, but I have a question. If I keep it in a covered jar or bowl in the fridge, how long will it keep? Wow, I really really want to try making my own homemade buns now! And I love homemade BBQ sauce. YUM! Your buns look so lovely and so does the sauce... I love the last photo the most:D have a lovely weekend. I've been looking for a great sandwich bun recipe. I can't wait to try these. Wonderful meal in my book - I've been craving some barbecue too, lucky you. I had some leftover chicken intended for another recipe and then The Cajun ate it!! For a "snack!" Why does he never eat the leftovers that are just, well... leftovers not intended for anything else? why how did you know that I have a container of buttermilk sitting in my fridge! How thoughtful of you to post these rolls :P Great makeover for the leftovers! I also hear the content of my fridge and pantry constantly calling 'eat me'... and it's hard to resist the temptation. the bun looks perfect and I like the use of the leftover pork. Isn't it fun how different we all are. I so love leftovers. Thanks for the great practical recipes today. Have your recovered, Mary, from all your company? Mary, I couldn't help but crack up. Just this morning my husband was insisting that my mother's stash of dressings and condiments attacked him when he opened the fridge. Some people collect teacups- she collects salad dressing! well I always try to finish off my leftovers...so these sort of recipes handy..buns looks so tempting..looks so perfect ! I love making homemade BBQ sauce, so much easier to layer in flavor and no worrying that you're going to get all the HFCS of the store bought varieties. Yum! These look great! Oh, those buns! Beautiful looking buns and the BBQ sauce looks delicious! I'm not much for leftovers either. I have finally learned how to cook for just two without a lot, if any left over food. When you have company that's harder to do though. You did wonderful on using it up.... I love homemade barbecue sauces, plus they are so simple!! Your remains look delicious! Ooo those buns look absolutely perfect--I bet they smell amazing as well! Love your buns! I happen to have buttermilk, so do I omit the water & buttermilk powder & use 1 cup of buttermilk? Can't wait to try these! Wow, that sandwich bun recipe sure looks like a keeper! I've been thinking for months that I should do what you do--make a bunch of buns and freeze them--but I was kind of waiting for the right recipe to come along. I think I've just found it! The barbecue sauce looks delicious as well. Your blog is wonderful, usual! You've done it again, Mary! What beautiful buns, and the BBQ sauce sounds great. Cooking for 2 means I'm often dealing with leftovers. Will definitely keep this in mind. Mary, another recipe that looks like a winner. 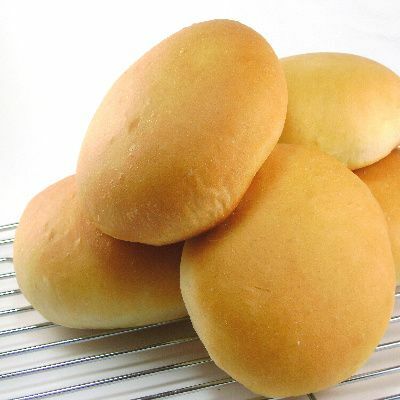 I have tried several recipes for sandwich rolls, and they all came out hard and too dense. I am not a novice bread-maker, but these seem to elude me! I am excited to try your recipe. I have the same philosophy regarding leftovers - they have to be recycled, use in a different way, otherwise it is too dull and repetitious. I make my own mayo and BBQ sauce. So easy and so much tastier than store-bought. Greetings from oh-so-hot Southern California. I cooked an enormous Costco-sized pork loin yesterday and no one wanted leftovers today. Guess what they'll have tomorrow, our last night here....and I know it will be a hit. Pork was on sale this week and I got a roast. I was going to make barbecue with it anyway, so this is perfect timing! Thanks! I love pulled pork sandwiches, particularly with the vinegar-based Carolina-style sauce. I've never considered making my own buns. I tend to just buy potato rolls at the store. I'll file this away for a possible future project. Could this look any better? Thick buns with juicy barbecue. I'm drooling. I wish you could come and cook for me and Ryan...we would love it! Thank you for sharing. I love your commitment to homemade food...your family is blessed, for many reasons! Those buttermilk buns look amazing. I'll be keeping this recipe in mind for sure. Oh The buns look perfect! It's a plus with the homemade BBQ sauce and burger. Yummm... Truly mouthwatering! Thanks & enjoy your day. You have a lovely website with delicious recipes and stunning pics. Love those buttermilk buns they look much better than the store bought ones, of course they would be as they are homemade. Looking forward to sharing recipes. homemade buns are one thing i have yet to try---this looks like a great recipe! I can just tell from your wonderful pictures that those buns are super soft. Wow! Gotta try that. Questo tuo BBQ fatto in casa é fantastico.